Television Writer/Director, Master of Arts in Television Drama University of London, awarded with the British Council’s Simon Bolivar Fellowship, has written and directed about one thousand hours of dramatic television, with titles such as Azúcar, La Alternativa del Escorpión, La Otra Mitad del Sol, La Mujer del Presidente, La Lectora, Pura Sangre and Alias el Mexicano. He has been awarded several times with the India Catalina and Simon Bolivar Awards as director and writer. From 2013 to 2016 he was Vice President of Contents at Fox Telecolombia. Currently, he is the director of his how content company, Television Boutique, and also of the Writer ́s School of Mauricio Navas Talero. 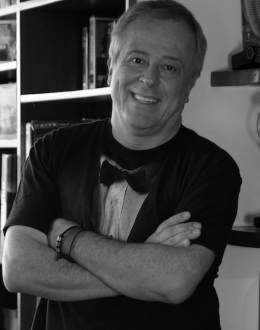 Additionally, he acts as literary consultant at Valencia Producciones and as academic headmaster of Smartfilms.